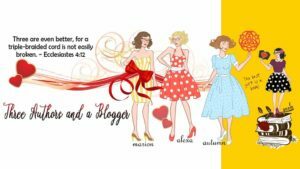 Special Review of A Time to Push Daisies plus a Box Set GIVEAWAY! Caleb Blume has faced death and won. Had it not been for an unexpected Christmas present, he would surely have been pushing up daisies. Not that the silver-haired landscape architect was averse to those little flowers–he just wasn’t ready to become fertilizer himself. Ladies, get your tissues ready, you are going to need them…….in a good way, of course! I was excited to read a love story for an older generation, and this story does not disappoint! So many romance novels these days are about characters in their 20’s, and don’t get me wrong, I love to read those too, but it is so nice to see that we older folks aren’t too old for love too! 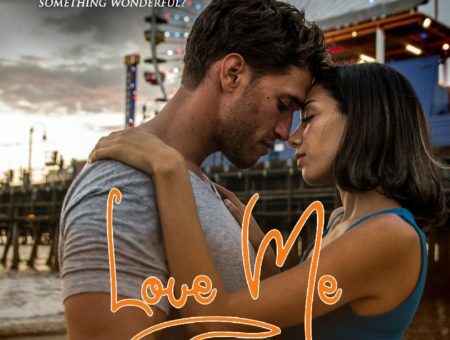 I was so enamored with Caleb and JoAnn, I found myself so many times at the edge of my seat unable to read this fast enough to get to the next part of this beautiful love story. This book has a lesson for all of us, from the young to the young at heart, we can all take away a new appreciation for God’s unending love! Now, have you ever wanted to go on a European cruise? Visit Ireland, Scotland, London? Walk among the Standing Stones or cross over the Ha’penny bridge and all the other sites there are to see? My feet have never left the good ole’ USA, but I feel as though I have been on the most luxurious trip thanks Marion’s A Time to Push Daisies! Not only did I get to set sail on an amazing cruise with my own butler, but I had the chance to fall in love…..with both the hero and the heroine in this beautiful story of love found later in life! PLUS – there is a recipe that I promise you will love if you like chocolate! I made them immediately after reading this story, and my hubs loved them!! I plan on making another batch while I get to read these 4 other stories in the box set, if the other stories are half as good as this one, I am really in for a treat this weekend – win / win!! Marion is so kind as to do an ebook GIVEAWAY of the ENTIRE box set to one lucky commenter on this post! Just let us know what your favorite weekend treat is to enter to win! Contest will be open for 7 days following this post and winner will be notified via email! I also wanted to also let you all know – in case you haven’t heard – there is an awesome new Facebook group that just happens to include Marion Ueckermann as well as Alexa Verde and Autumn Macarther!! It’s called Three authors and a Blogger (that would be yours truly) So PLEASE join us there too!! 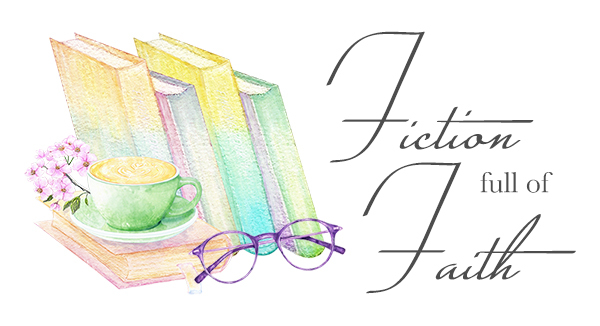 Previous Second Installment reviews of A Tuscan Legacy SALE on books 4, 5 & 6!! Next Review of A Sparkle of Silver and a Giveaway! Review of A Sparkle of Silver and a Giveaway! Thanks for the awesome review, Paula. So glad you enjoyed A Time to Push Daisies. I must say, this is one of my favorite books I’ve written. Love that video!! Thank you for sharing!! Good Morning, Paula and Marion. What a lovely spotlight! I love your story, Marion, and I know readers will, too. Thank you, Mary! I am looking forward to reading yours as well!! I got the boxed set & can’t wait to read it! I love the review. I was already looking forward to reading but even more so now!!! Yay! I can’t wait to read the other ones too!! Hi, Paula and Marion! What a lovely blog post! A Time to Push Daisies sounds like a heartwarming read. Thanks so much for featuring Somewhere Beyond The Blue! Thank you for stopping by, Cecelia! I don’t know that I can wait till the weekend to start reading the others!! Favorite weekend treat is to get a visit from my daughter(who lives 30 min. away) and we take a day to hang out and go shopping. That sounds delightful! Thanks for sharing, Lorie!! I hope you get to do that often! My favorite weekend treat is watching a good movie with my husband’s fantastic home made popcorn. Oh, that sounds delicious! I have had only microwave popcorn for so long now, don’t know what homemade would taste like any more! Great review! I would love to read these. My favorite weekend treat is homemade chocolate pie! Thank you for the chance! Thank you, Candace! Now I want pie too…lol! My favorite weekend treat is camping. We are currently camping right now and the weather is perfect. In the 60’s during the day, 50’s at night. But if you’re referring to food, I’ve been making caramel apples and my kids love them. We went apple picking a few weeks ago and I’m overloaded with apples so I’ve been trying to find recipes that they all will enjoy. I also made Apple Breakfast Bars and they like those too. Oh my gosh, Daphnee, I adore caramel apples!! I bet yours are awesome!! Thanks for sharing, Daphnee. Caramel apples sound so tasty. I used to love what we called toffee apples when I was a child. The apples were dunked in either a bright red or green syrup which hardened. I’m wondering if your caramel apples are the same thing? Hi, Paula, Sounds like a good story. Thanks for sharing, and also for the opportunity to enter a giveaway! Would love to win a print copy! Thanks, again, for being a blessing! Hi, Lual! I am always so happy to hear from you! Hope all is well with you! Thanks for stopping by! Thank you, Lual. I hope you get to read A Time to Push Daisies. goodness, yes….heading there now, I believe, lol! My favorite weekend treat is reading and just relaxing with no plans to go anywhere. One of my favorite things to do anytime as well, Sonnettta 😁 Thank you for sharing! Huge thank you to everyone for participating and to Marion for making this possible ❤️ !! The winner of the set is Brenda Hahn! Marion has your email and will be gifting you the book today! !